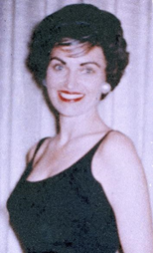 Florene Hughes, age 86, died on January 2, 2018 in Seattle, WA. 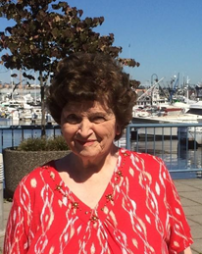 She is survived by her daughter Denise Hughes of Seattle, WA, her son Clayton Hughes and daughter-in-law Janine Bassin of Westport, CT, two grandchildren Zoe and Quinn Hughes, and two sisters Joyce Montague and Doris Luttrell. 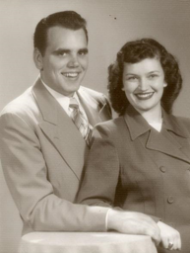 She was preceded in death by her husband James Hughes after 51 years together, as well as her parents George and Virgie, and her brother Devoe. Florene was a loving wife, mother and grandmother. She attended college in San Francisco and lived in multiple states including California, Illinois, Texas, New York, Arkansas, and Washington. She raised her children on Long Island, New York, and lived with her husband in Taiwan for 5 years before retiring to Bella Vista, Arkansas. They travelled extensively around the world. Florene was very active in Bella Vista Baptist Church and in Christian Women’s Club. She was a pre-school Director in New York and was on the Bella Vista preschool board for many years. She and her husband were past presidents of the Bella Vista California Club. Throughout her life, people would say her middle name was “Volunteer”. A lovely woman, with a lovely spirit.